Support your local businesses! Join the Just A Card campaign! "If everyone who'd complimented our beautiful gallery had bought just a card we'd still be open"
This week is no ordinary week! 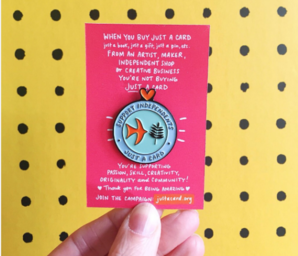 It's Indie Week and that means it's time for 'Just A Card'. Just a Card campaign is very close to my heart. 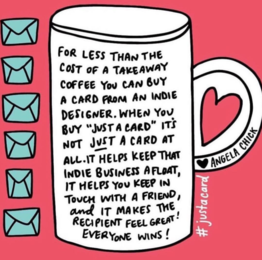 The whole idea is to encourage people to buy from Designer/Makers and Independent Galleries and Shops rather than heading straight to the big high street names. I've been joining in with the Indie Week 'Just a Card' challenges! 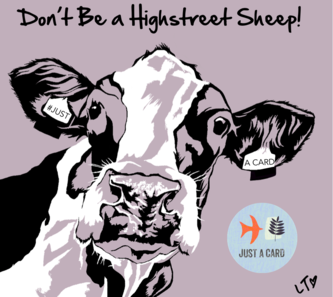 So let's spread the word that all purchases, even just a card, are vital to the survival of our streets small businesses. The campaign began when Artist & Designer Sarah Hamilton saw a quote by gallery owners who'd had to close shop. Now I don't expect every shopper at a fair who passed my stand to make a purchase. But if everybody who stopped in their tracks when they saw my cows, who cracked a smile when they saw Ted's fluffy little face, or exclaimed just how much they loved my art, made a little purchase of a magnet or greetings card it would make all the difference in the world. Not only does it make me do a little happy dance, but it could mean the difference between me returning the next year or cutting the show from the calendar entirely. Action needed to be taken! Now I don't have a shop, mainly due to the huge outgoings it would implicate. But I do exhibit at crafts fairs across the country, of all sizes. I thoroughly enjoy meeting my customers and talking about my work and it's a fantastic experience for the shoppers. However these fairs are not cheap. With Stand fees, electrics and lighting, stock, van hire accommodation and sometimes even paying for WiFi all adding up, we have to take a significant amount of money before a penny of profit can be made. Not matter how much we may love attending an event if we are losing money exhibiting, then we have no choice than to remove it from our list. Similarly, no matter how passionate an owner of a gallery or small business are about what they do, without crucial sales then it will soon become another boarded up shop front. Buy Local! Be it your baker, butcher, coffee shop, or gallery. 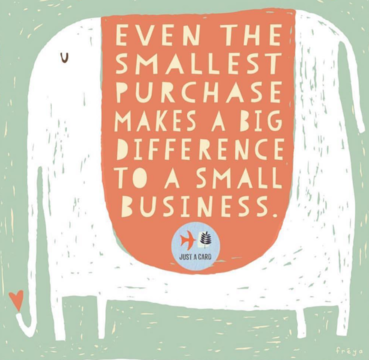 Whether it's online, or at a Christmas fair buy something from the little guys who make shopping special. 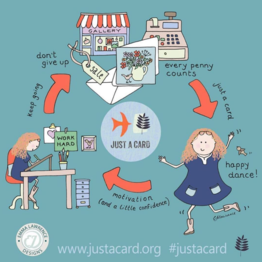 Follow @justacard1 on Twitter and Instagram Retweet & spread the word. Tell your friends! Recommend a cute coffee shop, boutique, or online shop. 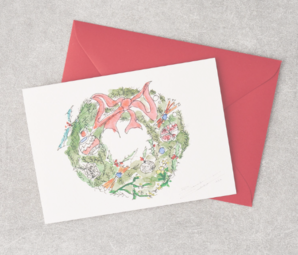 A beautiful set of charity Christmas cards designed by Benedict Cumberbatch for Anno’s Africa. 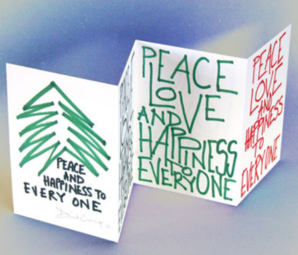 A beautiful set of Christmas cards designed by Daniel Craig, for Anno’s Africa.